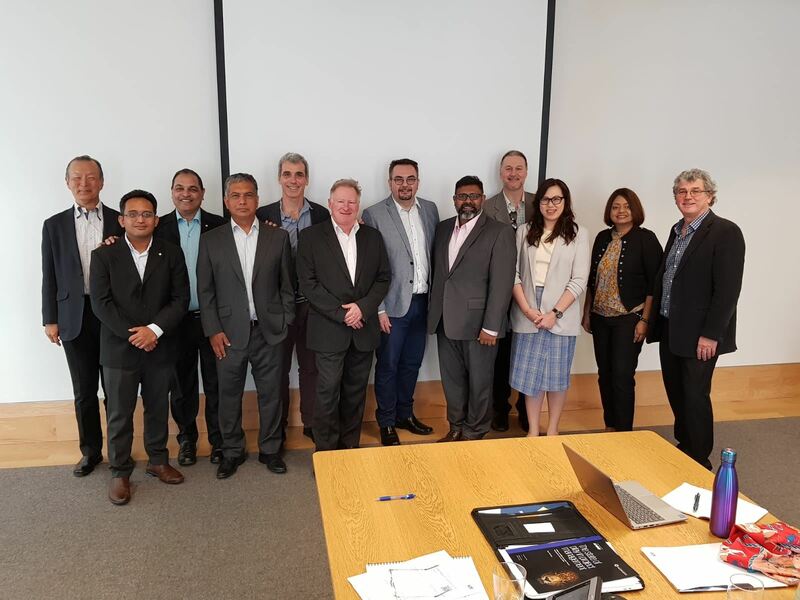 The 4th KM Global Network convened on the 12th of November 19 with a meeting of nations, namely France, India, Japan, Singapore, Thailand and was hosted by this year’s Chair Australia. KMGN was conceived in 2014 with four founding members namely Singapore, Australia, Hong Kong and Thailand and focused at building a network of KM non-profit societies that valued strengthening and transforming KM without a hefty price tag. Since 2014 we have expanded the global network with the inclusion of France, India, Japan, Russia, United States of America and in 2018 Indonesia and South Africa. This year we relooked at the strategy and value proposition of the Global Network and discussed and debated about the ISO KM. Updates on this will be shared at our KM events soon. Country representatives shared on their KM activities in 2018 and the way ahead in 2019.
mapping KM with the KM Standards. In addition, we are also looking at expanding the KMGN with new members. Looking forward, there will be a KM survey led by iKlub Thailand which will be looking at the global KM footprint. KMS, will be taking part in this. Look out for the survey in your mailboxes soon.